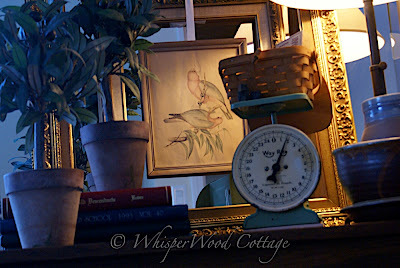 Remember that 25-cent framed art piece I picked up at a garage sale in my Junking Weekend, January 10-11, 2009, post? It was the colored sketch of the two birds. Well, I mentioned that I had added it to my guest room and Stacey@The Blessed Nest asked for a photo. So, here it is, Stacey! By the way, those two topiaries on the left?...90% off at Pier 1. Yes, run, don't walk! Go! Go! Go! Originally $22.00...on clearance for $2.18 each. Lot of other great deals going on there as well! I love it Amy!!! I am stopping at Pier 1 today!!! I'm a sucker for scales, I never pass on them. I really like how you used it in your guest room. Great idea! WOW......I love your vignette.....so pretty. WOW......that is an amazing sale at Pier1! I better go check it out. This is precious! The birds are a wonderful center point. I love how you layered the frames. Funny because I was just looking at some layered mirrors tonight. Beautiful! I love those open frames, and lucky you to find such a great sale-I just may have to pop over to see if I can find any for myself! I love how you put those frames! Great look! And as always beautiful photography. Hope you are keeping warm! I love the scale! I have quite a few scattered through my house and just love it when I see others!! Hey there! AMAZING finds last weekend1!!! Wow. 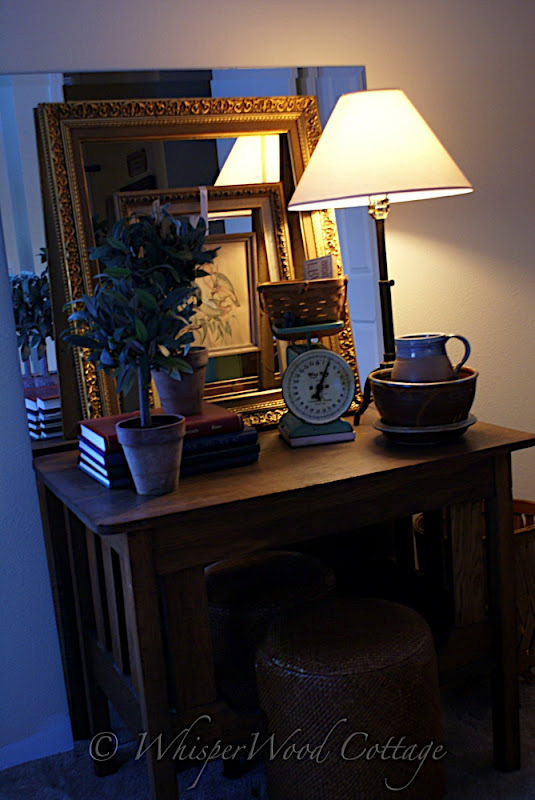 And your guest room vignette looks so beautiful! You've got a great eye for display!! That is a fab vignette! And your photography skills are amazing. I usually don't go to many stores with "new" stuff, but I really like those topiaries. Thanks for the hot tip. This is absolutely lovely! 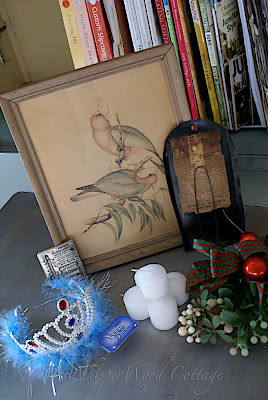 I love the layered frames, and the whole vignette! So lovely! Great blog! Thank you for your prayers. It's nice to "meet" you. Your blog is lovely.